There’s a reason 80% of New Year’s resolution ideas fail: They aren’t SMART goals. Learn the 5 questions that’ll help you create winning resolutions you’ll accomplish this year. Like most people, I used to set a New Year’s resolution on January 1st … only to completely abandon it by February. I’m not alone either. According to U.S. News, 80% of people who set New Year’s resolutions fail to meet their goals. It’s the reason why gyms will be FILLED with people in the first few months of the year, only to thin out as the year goes on. Frustrated and tired of setting bad goals, I decided to make a change. So I researched new goal-setting methods and discovered a system that not only allowed me to set good goals but keep myself accountable to them as well. In January, I used this system to set a goal to run a marathon — and I completed it by April. Me reflecting on my newfound goal-setting skills. The difference maker: My goals became SMART. They unspecific. Sure, you “want to travel more,” but what does that really mean? When are you going to get it done? Where are you going to go? Vagueness is the enemy of good goal-setting. They’re unrealistic. Oh, so you want to “get rich” this year? Are you willing to put in the hard work and sweat equity it’ll take to negotiate a raise, find a higher-paying job, or start a side hustle? Most likely not. They’re based on willpower — not systems. Human willpower is limited. Sure, you might start out going to the gym every day, but as time goes on you’ll have to use the finite amount of willpower you have to keep it up. Eventually, you abandon the goal altogether. SMART stands for specific, measurable, attainable, relevant, and time-oriented. By filtering your goals through that framework, you’ll be able to create systems to achieve your goals. 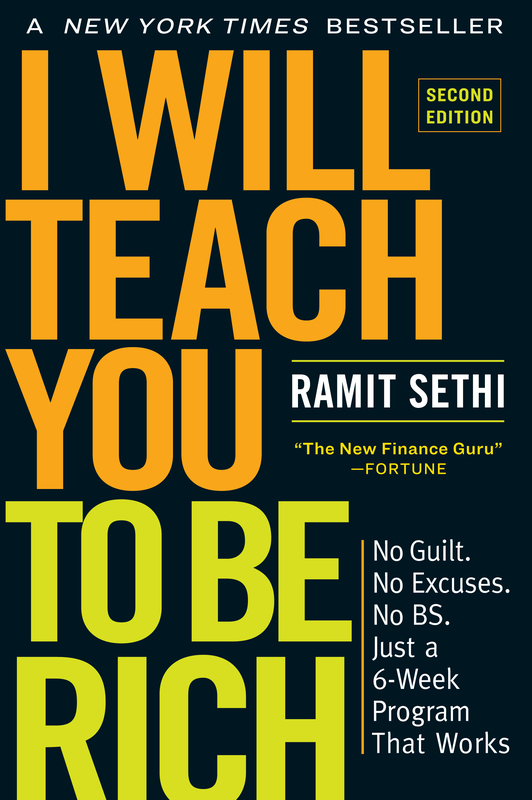 Ramit Sethi, I Will Teach You To Be Rich CEO, helped some of his students create SMART goals on Facebook. First, he asked them to share some goals they had. Then he took. Them. To. SCHOOL. The results? Night and day. Their goals became clear, with a defined end point and a system to get them there. That’s the power of a SMART goal. I want to show you how to create one too. For me, I knew I wanted to run a marathon — but that wasn’t enough. I knew I had to create a SMART goal around that crappy goal and that meant asking myself five questions. Question 1: What is the precise outcome I’m looking for? This question will help your goal become more focused and specific. What will your goal achieve? What happens if you accomplish your goal? The more precision you can give to this answer, the better. For example, I didn’t just want to run more. I wanted to run a marathon, a very specific and defined event. Consider your own New Year’s resolution ideas. How can you make them more specific? Once you answer that, move onto the next question. Question 2: How will I know I’ve accomplished the goal? This might sound painfully obvious. But often times, people set goals that don’t have a measurable outcome. Things like “traveling more” or “reading more” won’t get accomplished because there’s no measure for what more means. Having measurables attached to your resolutions allows you to track them and see how you’re making progress. This is crucial psychologically for achieving your goals, and can keep you motivated to see it through. What does success look like for your New Year’s resolution? How are you going to measure it? Question 3: How realistic is this goal? Sure, if you shoot for the moon, you’ll land among the stars — but wouldn’t you have rather just aimed for the stars in the first place? Okay, that metaphor broke down pretty quickly. The point is that while your goal can be ambitious, it should also be realistic for you. So if your goal is to “Go to the gym 5x / week” and you’ve never set foot in a gym before, you should probably shoot for something more realistic (e.g., “Go to the gym 2x / week”). I had already been running half marathons and 10Ks for years before I decided to run my first full marathon. So I knew with proper training, I’d be able to run a marathon in a few months’ time. I wouldn’t suggest someone who’s never even run a 5K take on the same SMART goal I did. It’s just not realistic for them. So think about your own goal. Is it realistic for you? Do you have the skills and knowledge to accomplish your goal? If you don’t, can you easily get those skills? Question 4: Is this a priority in my life right now? It’s crazy how many people set arbitrary New Year’s resolutions just because their friends and family are doing it. Take traveling for example. On social media, you’ll see people posting photos of themselves in exotic locations, having these seemingly awesome experiences. People see these photos of their friends having a great time and say to themselves, “Man, I really should travel more!” So they make it their New Year’s resolution to do so. As the months go on, they keep moving the day to travel down the road. They never really decide on a destination. And dang, wouldn’t you know it, they’re just so swamped with work right now, there’s no way they’ll be able to get away … and they never end up traveling! In reality, they never really wanted to travel in the first place. And guess what? That’s totally fine. If traveling isn’t really important to you, you shouldn’t do it. Here at IWT, we believe in going all in on the parts of life that really matter to you — while mercilessly cutting out everything else. Don’t really care about traveling? Don’t do it. Getting a six pack isn’t important to you? Don’t bother with that gym membership then. Is learning a new language a priority for you now? If not, don’t set aside time to learn. Focus on the things that truly matter to you — and forget the rest. Question 5: When will I be finished with the goal? Attaching a time frame for your goal will allow it to be both measurable and time-oriented. This will give you even more motivation to achieve your goals. So ask yourself: What’s the deadline for your goal? Will you know in a few days, weeks, or months if you’re on the right track? I took my marathon running goal and set a deadline for April — the same date a marathon in my hometown was occurring. Knowing that the marathon was just a few months away kept me motivated to train and keep a healthy diet. A time-oriented goal will help you stay focused and motivated to achieve your goal. Using this framework, you’ll be able to turn any vague, crappy New Year’s resolution into an actionable SMART goal. Why it’s bad: It’s vague and not measurable. How do you know when you’re healthier? Why it’s good: Now you have an actionable system with solid metrics to help you see if you’re on track. You’re not just getting healthier. You’re eating three healthy meals and going to the gym each week. Now do the same for your goal. How can you make it specific, measurable, attainable, realistic, and time-oriented? To accomplish any goal, you need to establish good habits. That’s why we here at IWT helped create the Ultimate Guide to Habits. In it, you’ll learn our system for setting a functional habit loop to accomplish all the important goals you have in your life. Just enter your name and email below, and I’ll send it straight to your inbox.